Ok, ok. So we’ve gotten tons of feedback from alumni and students; a lot of excitement and curiosity. But, there is also a liiiiiittle bit of confusion about what this “Red Hook program” is. And that’s ok – I’m good with confusion, and if one person says something, it means there are plenty more out there just keeping their mouths shut. It’s a risk to announce a program like this that is very early on in the works, which is why we were hesitant to do so; but the fun in that is, all of us can see our program here grow together, piecing together the needs of students, faculty, alumni, and the Red Hook community. Honestly, an amazing opportunity. Here, in Red Hook – some hybrid courses and some full in-person courses. The topics will depend on which faculty decide to partake, and we’ve seen interest from English, geography, history, and communication. October 3 – see you there! More to come. Benefiting the Red Hook community through our research and co-existing productively. Expanding Geneseo’s influence in the NYC region to attract prospective and accepted students. What is this “space” in Red Hook that you speak of? The space, as of now, is unfurnished, as we are not sure if we will need a full classroom setup, or more of a free-flowing meeting space with large tables and computers. 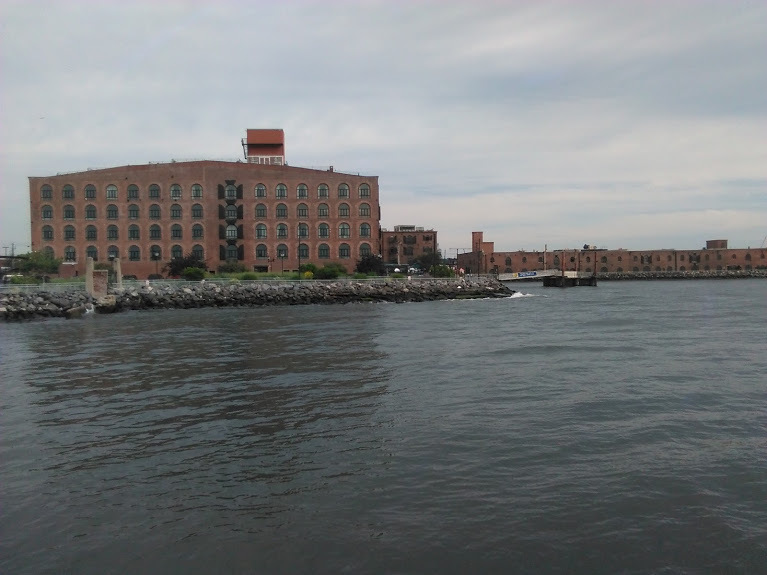 We are at 106 Ferris Street in Red Hook, right on the waterfront and next to Valentino Pier Park, and will be the meeting spot for our October 3 event. What do YOU (Maddy) do? My job right now is very investigative – I meet people in the community, I attend meetings, and I link the resources of SUNY Geneseo with the needs of the community (and vice versa). The big thing, for us, is that we do things in Red Hook that can’t be done online or on campus – so, to have a community-oriented program, you need the trust of that community. For example, we would love to do student teaching placements in Red Hook through the School of Education, and my job is to learn about the schools here, tour them, meet with the directors, and move forward productively with a timeline for student teaching. As events begin to unfold in Red Hook (like our October 3 kick-off) I make sure everything runs smoothly – set up the happy hour, market the event, and make sure everyone is happy! Why Red Hook? It’s out there! Yes, it certainly is. But that’s also why it’s such a unique neighborhood in a borough of NYC that is rapidly changing and rebranding itself. Red Hook is similar to Geneseo – the community has quite a spectrum of stakeholders, some who have been there for 60+ years, and some just a few years. In the past 10 years, it’s been “turning around” as they say, and Geneseo will be in that movement as it sees new development and change. It’s also where alumnus Greg O’Connell (read this article! seriously) bought over 25 acres of property in 1992 – he brought in things like Fairway grocery store and the Brooklyn Waterfront Artists Coalition, both now housed in his waterfront buildings. Greg is a huge advocate of both Red Hook and Geneseo, and is a supporter of the work we will do to link both communities. This is the beginning of a program that will create opportunities for non-traditional offerings and a new setting for the components described above.